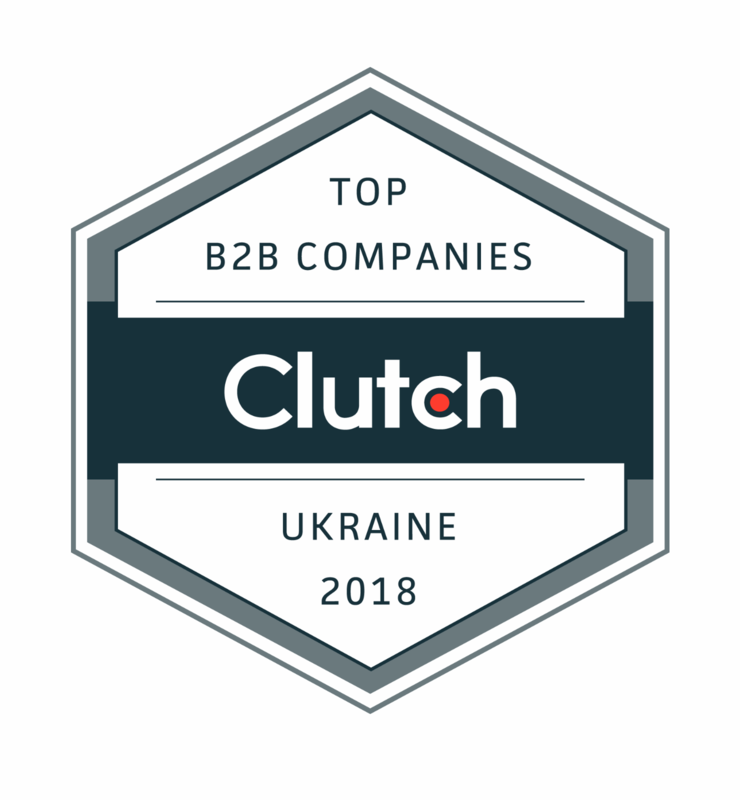 San Diego, CA – June 17, 2018 – AltexSoft, a Travel & Hospitality Technology Consulting company, was featured among the best Ukrainian B2B companies in 2018, according to Clutch. The website, dedicated to reviews of professional services from all over the world, published their annual report featuring companies providing marketing, design, development, and IT services. Any organization can get listed on Clutch to gather customer reviews and claim a place in the top ranking. However, only companies highly evaluated via positive client feedback, work quality, services offered, and market presence get to be recognized for the top performance. 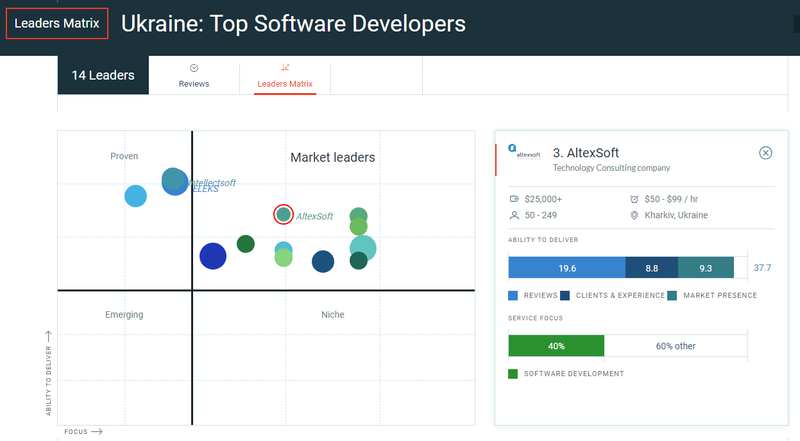 Moreover, we are currently ranked as the third top software developer in Ukraine which you can see on the matrix below. This is not the first time Clutch highlights AltexSoft’s performance. Last year, we were named one of the top 20 web and software development companies in Ukraine by the website. You can view AltexSoft’s profile on Clutch with our portfolio and customer reviews here. A B2B research, ratings, and reviews firm in the heart of Washington, D.C., Clutch connects small and medium businesses with the best-fit agencies, software, or consultants they need to tackle business challenges together and with confidence. Clutch’s methodology compares business service providers and software in a specific market based on verified client reviews, services offered, work quality, and market presences. AltexSoft is a Travel and Hospitality Technology Consulting company. We work with online travel agencies, travel management solution providers, and travel tech startups to build custom software. Being in business for over 10 years we help implement new or modernize existing solutions, improve the experience of your customers, utilize available data science and machine learning opportunities to accelerate revenue growth and optimize your expenses. Over 200 businesses worldwide have chosen us as their Technology Consulting Partner.